In Blair, Nebraska, we fortunately don’t have to worry about blistering summers as much as some other states do. While it sure can get hot here, we don’t have to worry with the heat wave that folks down in Arizona or Texas have to deal with each year. Nonetheless, it does get hot enough to where air conditioning is a necessity in your home. Even though we’re not quite at that point yet, it’s coming, and it’s good to have your air conditioner prepared for when that time comes. At Powerhouse Heating and Air, we’ve helped countless clients in Eastern Nebraska get their HVAC health where it needs to be. As it turns out, right now is the best time to start prepping your AC for the hot summer months. 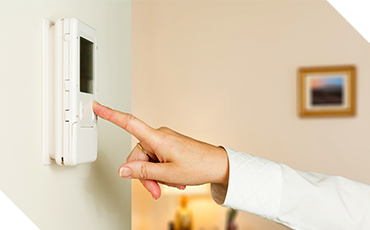 As we’re inching into the summer, the last months of spring drawing closer, you shouldn’t wait any longer to do the work that your HVAC system needs to operate effectively. 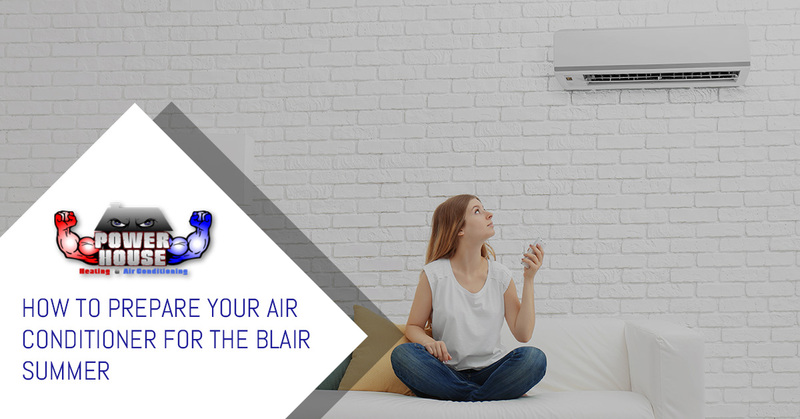 If you want to ensure longevity in your air conditioning system and save money, here’s what you should do for your air conditioning before the Blair summer months arrive. Regardless of whether you’re prepping for heating or air conditioning, replacing your air filter is one of the best things you can do for your HVAC system. As your furnace and air conditioner run throughout the year, dust, grime, and pollutants accumulate in the filter, which is designed to keep low-quality air outside of your house. Unfortunately, this can clog, reducing the efficiency of your system, letting more bad air in, and ultimately causing you more money. Replacing your filter is easy, and you’re able to do it yourself. Alternatively, Powerhouse Heating and Air Conditioning can stop by, perform some preventative maintenance, and show you how to do it! Your air conditioner, in circulating cold air through your home, also vents air out of it, which comes out of your HVAC’s exterior unit. Your outdoor unit will be somewhere outside — you know where it is. In preparing for those summer months, it’s good to take a look and give it a thorough cleaning. Winter can wreak havoc on your outdoor AC unit, between all the snow, wind, and falling leaves that you’ll encounter in Omaha and the surrounding areas during the cold months. You’ll want to clean it well and make sure there is no debris blocking anything. This will allow your AC to run much more efficiently. 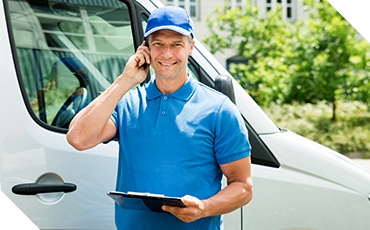 Another essential thing you should to in HVAC preparation is calling your local HVAC contractors to come stop by for some preventative maintenance or comprehensive air conditioning repair. There are a plethora of problems your air conditioner can develop, and unfortunately, a lot of them fly under the radar. Your fan motor could be broken, your condensate drain could be clogged, your fan belt could be wearing down, you could have leaking refrigerant, and more. Ultimately, you’ll need a professional to fix most of these problems. Whether your AC unit has an obvious need for repair or not, it’s always a good idea to call your local HVAC companies. At Powerhouse Heating and Air Conditioning, we proudly serve the area of Eastern Nebraska, and whether you’re in Omaha, Blair, Elkhorn, Fremont, or other surrounding areas, we’ll be happy to help. Contact us today!